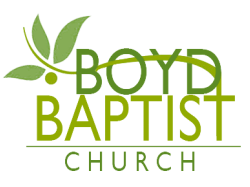 At Boyd, we believe in tithing. Tithing is the acknowledgement of the one who supplies everything . Malachi 3:10 tells us that we are to give our tithe and we will get blessings in return. God even says, "test me now in this". In other words, God says, "Try me." Give to Him and see if you don't get blessings in return.